1. What to expect there? The Karanki project offers cultural interaction where you will share with an indigenous group in their daily life. You will be accommodated in one of the houses of the community, enjoy their food and learn about their culture, traditions, and lifestyle. The families have been trained in cooking & service, so this becomes a once-in-a-lifetime experience. There are optional activities at an extra cost, such as: horseback riding, biking, trekking and more! 2. What kind of weather can I expect in Magdalena? The average temperature is 57ºF (14ºC) during the morning and 47ºF (8ºC) at night. Winter goes from September to May and summer from June to August. 3. Do the people of the community speak English? No, but the guide will be there to assist you. Also, there are radios in the houses to communicate with each other. 4. How can I pay for the extra services? 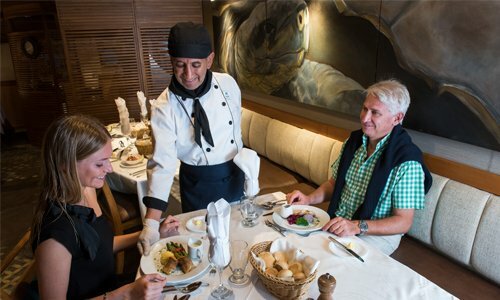 Preferably, extra activities should be booked beforehand with Go Galapagos Ecuador. Payments can also be made, cash only, directly with the host family and they will issue you an invoice. 5. Is there Internet and telephone available? Internet is available in two houses: “Girasoles” and “Cipreses”. Cellphones and cellphone signal are available in the community with an additional cost for its rent. 6. Is there a hospital or medical assistance nearby? There are clinics and a hospital in Ibarra 9.94 mi (16 km) away (30 min) working 24 hours.